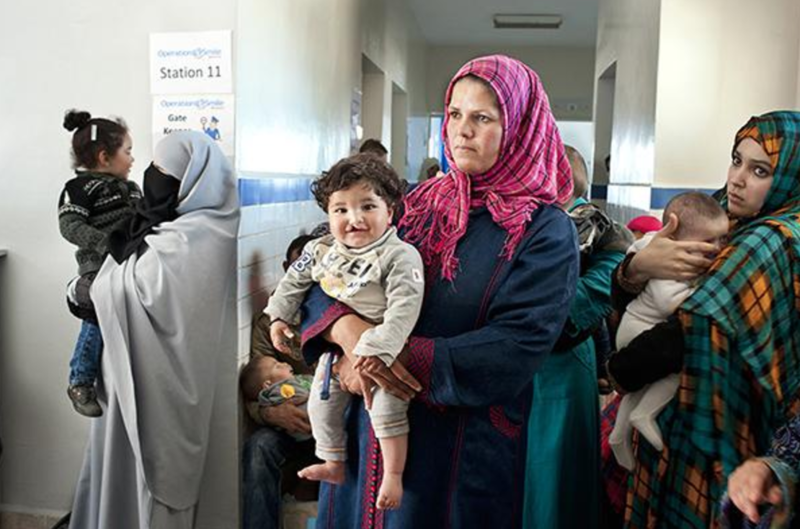 Two-thirds of the world's population doesn't have access to safe operation rooms. If you have ever had surgery, you may remember that you were nervous about going under the knife, but you probably don't remember being worried that the surgeon was not properly trained to conduct the procedure or that he or she did not have adequate supplies to safely operate. Unfortunately, this is not the case for nearly two thirds of the world’s population. In addition to the lack of training and supplies available, people in low-and middle-income countries often live very far from health clinics and surgical centers and have to travel by train, bus, boat and foot for hours, days, or even weeks to see a medical professional. Lack of access to safe surgery is a universal health problem. For almost 35 years, Operation Smile has done its part to solve the problem by providing free, safe, well-timed and effective cleft lip and cleft palate repair surgeries to people around the world. Safe surgical care is an essential component of health care and a universal human right that should be accessible to all. Essential surgery can not only save lives, but it can give children the chance to live to their fullest potential and confidently pursue an education, friendships and ultimately, a brighter future. With surgery, Operation Smile is giving patients back their smile, but the impact is much greater than that. It is transforming the lives of individuals, families and entire communities. That is why Operation Smile's medical volunteers, donors and staff are committed to helping cleft patients and breaking down barriers to accessing surgery. Through education, training, medical diplomacy and advocacy, Operation Smile is working with government agencies, local health systems, non-profit organizations and like-minded partners toward increasing the delivery of surgical services worldwide. With the continued support of partners like Johnson & Johnson, Operation Smile maintains Global Standards of Care, making sure each medical mission has the required medical equipment and supplies to enable delivery of the safest surgery with optimal outcomes. When Angeline was only two months old, her adoptive mother Tessie found her crying, screaming, covered in ants and left without any clothes or a blanket in an empty pig pen. Tessie was scared because she knew Angeline had been thrown away and left to die because of her cleft lip and cleft palate. Her birth mother likely didn’t have the means to access surgical care or may have been unaware corrective surgery was an option. At the time, Tessie, a mother to three grown children, picked her up and took her to the nearest hospital. Tessie knew that she had to help Angeline and adopted her on the spot. 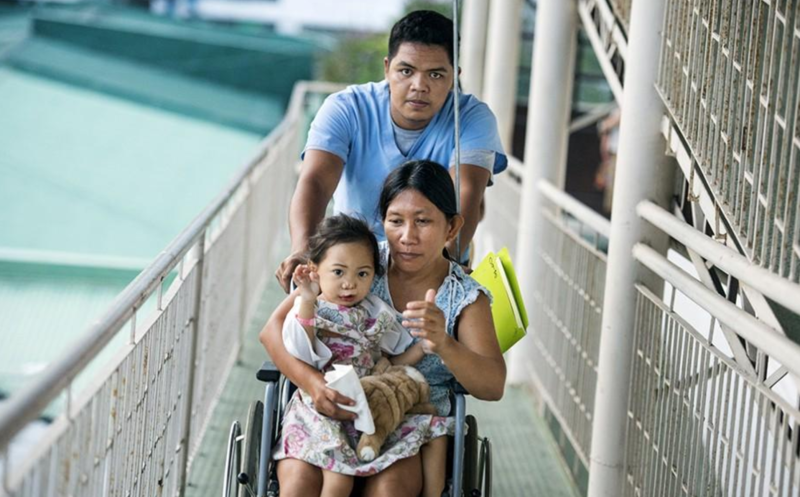 Later, Tessie took Angeline to an Operation Smile medical mission in the Philippines, where she was able to receive life-changing, safe surgical care. 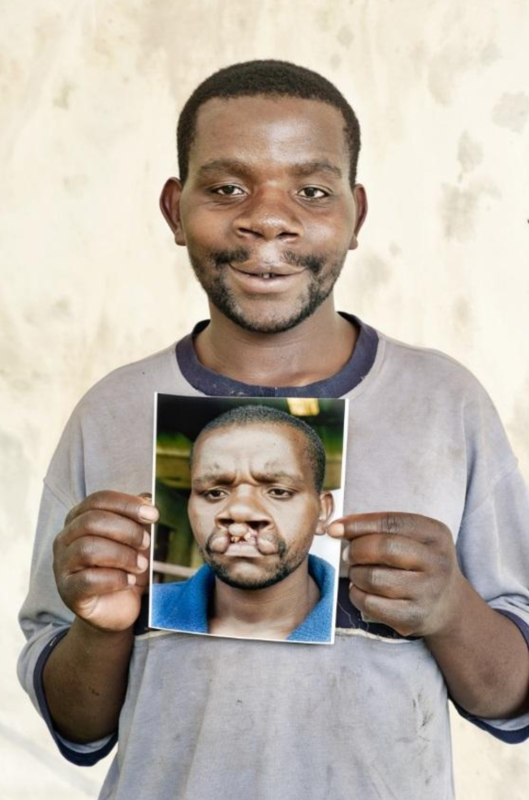 Enok remembers being jeered at, mocked, chased by packs of children and having people recoil in disgust at the sight of his severe bilateral cleft lip. In 2013, he summoned the courage to seek help and traveled to an Operation Smile medical mission near his village in Rwanda. 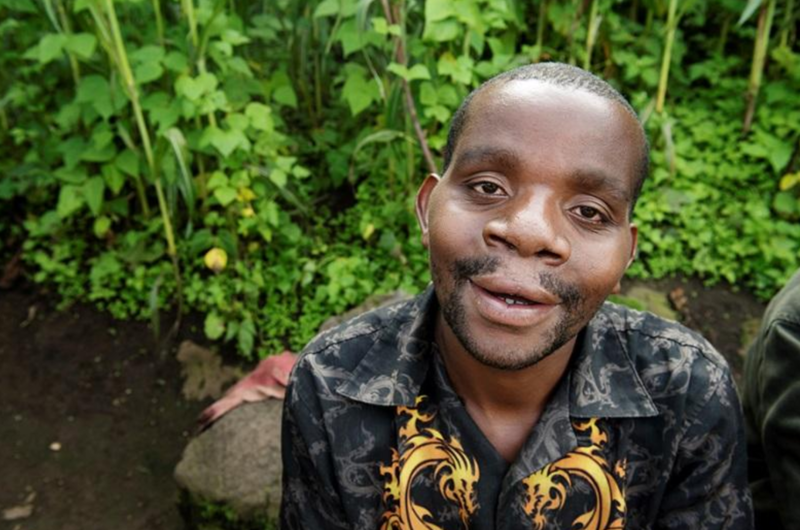 Enok had endured a lifetime of torment before he received surgery to repair his cleft at 25 years old. He lived his entire life in shame because his family and friends did not know that there was a routine surgery that could correct his cleft lip. Today, Enok is a baker and says that he has regained respect from his community and now has the chance to live a fulfilling life. 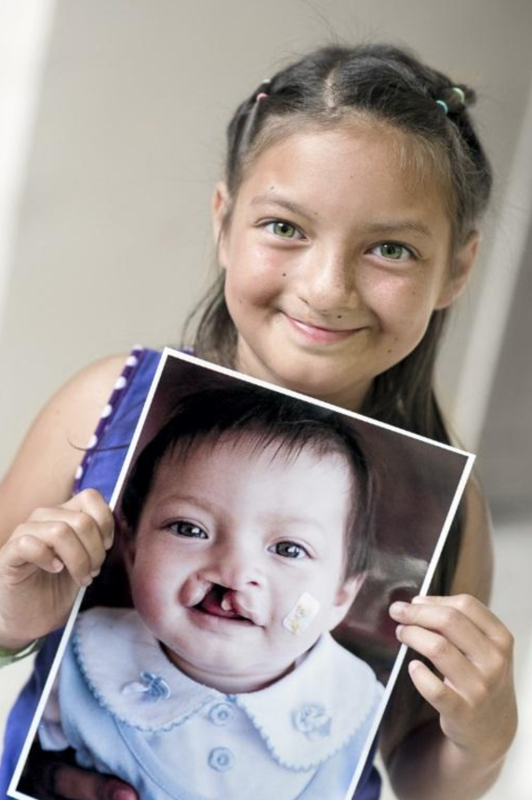 When Britany was 4 months old, she received surgery to repair her cleft lip at in Honduras. However, the surgery, even with the best of intentions, was not effectively, and the stitches broke open, leaving her with an open wound. Fortunately, her mother learned that there was an Operation Smile medical mission taking place a few months later, so she took Britany to the comprehensive care center to be evaluated. At 10 months old Britany received safe surgical care from Operation Smile’s dedicated team of credentialed medical volunteers and was given a second chance. Salaheddine was born in Morocco with a cleft lip. His father blamed his mother, Hasnaa, for their son’s deformity, claiming it was her fault because she wore makeup during her pregnancy. The family rarely took their son out of the house without covering his head, for fear their neighbors would shun them. Hasnaa knew that Operation Smile provided free surgeries to children with cleft lips and cleft palates since their son was 4 months old, but she never had the money to travel to the far away medical mission sites and never had the permission of Salaheddine’s father. Hasnaa told Operation Smile volunteers that she threatened to leave her husband if he would not let her bring their son to receive surgery. She saved all her money, bought a bus ticket, and headed for the medical mission site. Hasnaa and Salaheddine traveled for 54 hours to reach the hospital and receive safe surgical care.